about an ornament event starting tomorrow. 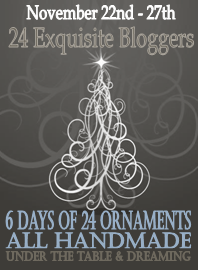 24 exquisite bloggers will be visiting this week, each sharing a special ornament they have created especially for you; All original, handmade and complete with easy to follow tutorials.Handmade ornaments are a fun way to create personalized decorations that not only make your tree beautiful but can also be used to grace packages for those you love. 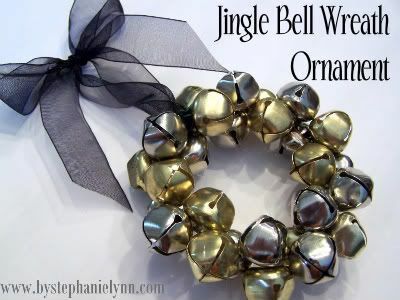 They are easy to put together, inexpensive and a great way to get the kiddies involved in preparing for the upcoming season.Instead of exchanging gifts with neighbors or close friends how about organizing a handmade ornament exchange this year ~ or gather a group of girls together for a fun ornament crafting party! I’ll be back tomorrow with our first four special guest bloggers. be sure to stop by and sign up for the Clean Mama Giveaway. I’ll be posting the showcases later in the week along with the winners! Aaaaah! 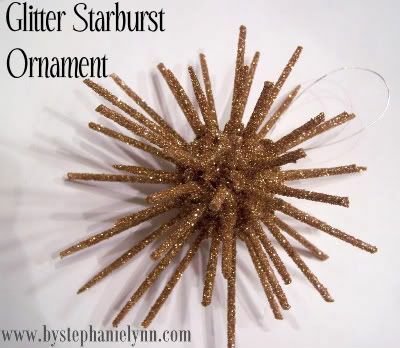 I’m going to make some of these this week with my little guys! Great inspiration!! Just twenty ornaments you threw together! you are amazing. Gorgeous. 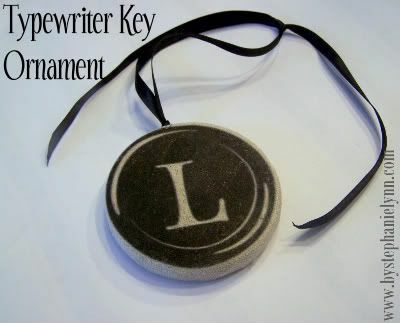 Love the typewriter key. I love these! Thanks for the inspiration! Great inspiration! 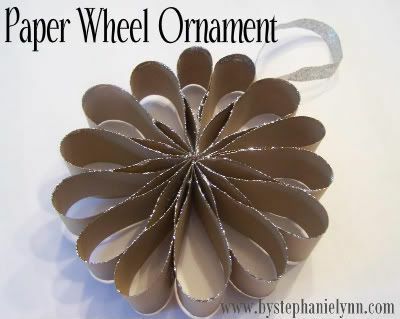 Gets my creative juices running to see all your cool ornaments. 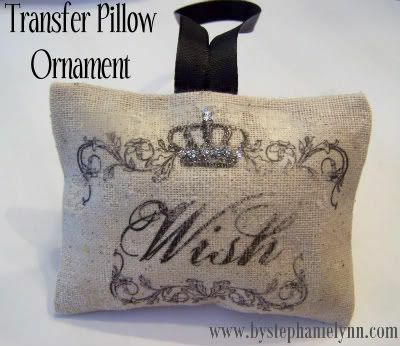 I am seeing some similar ornaments only in lime green, white, & gold. Hmmmmmm, now if I can just find the time to get them done. I love them all! My daughter and I will have to make everyone of them. And I know the boy’s will end up wanting to help too. Thanks. 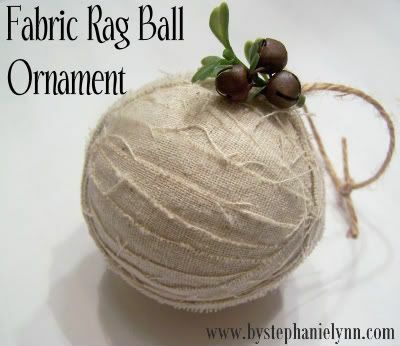 So many great little ornament ideas. Thanks for posting them. 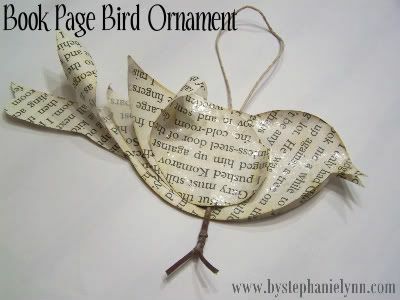 I love all of the ornaments that you have made! 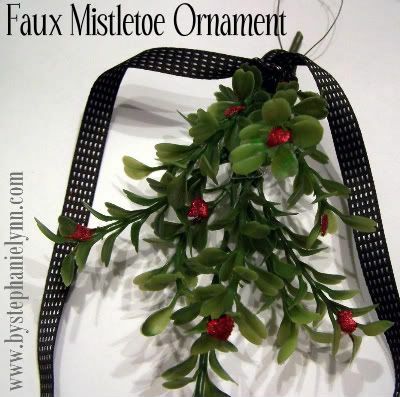 I am sure that I will be having some of those on my tree this year! Just wanted you to know that your productivity abilities are insane! Seriously love everything you do and these are no exception! 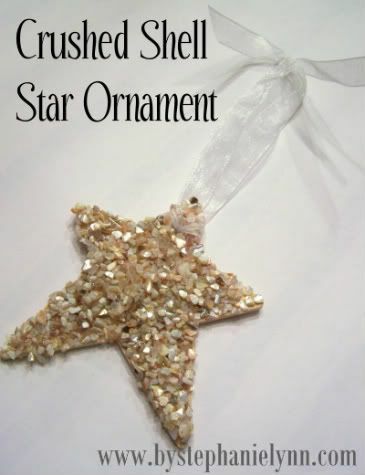 I love all of the ornaments, especially the jingle bell wreath and the crushed shell star. You are so talented and have a great taste. All of your ornaments are so great! I love the button one, and the typewriter one is great too! WOW! 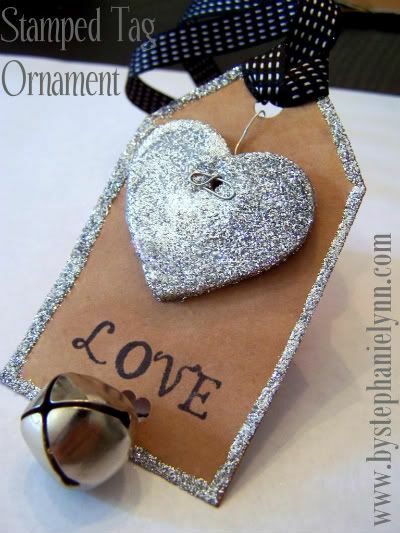 Amazing collection of great ornaments, Stephanie Lynn! You rock! 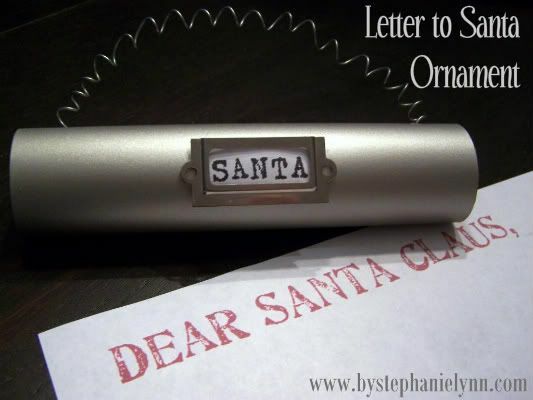 OH I love the letter to Santa capsule! 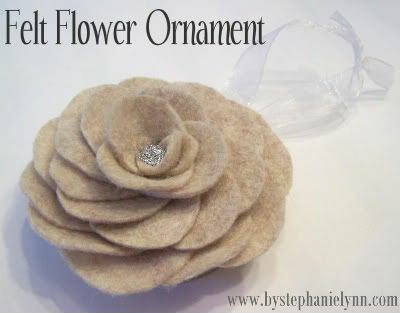 These are very beautiful inspiring handmade ornaments! 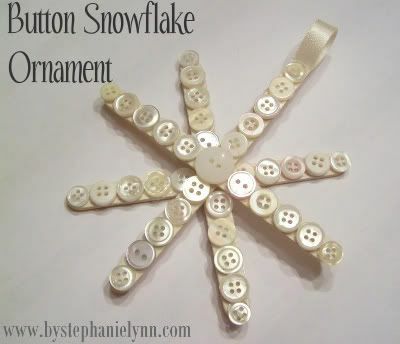 I am going to make the snowflake as I have alot of vintage buttons from my husbands mother, then I am going to give them to his family members…….I have been trying to decide what to do as there are many buttons and this plus some refrigerator magnets tucked away in a burlap bag would make a wonderful gift…..thanks!! I came across you site from between naps on the porch I am a follower! Hope you visit me sometime! Wow. 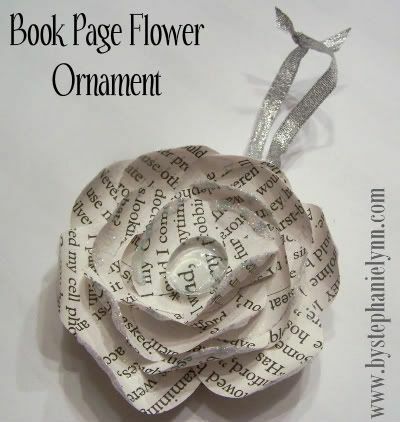 I am in love with those book page ornaments! 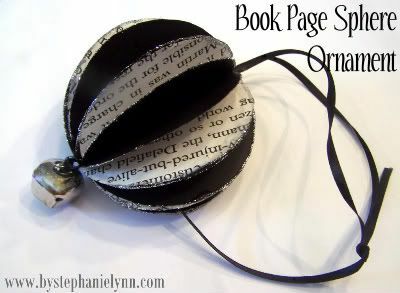 I’ve been invited to an ornament exchange party, and I’m definately making one of these to take! I like every one of these. So inspiring! These are cool! 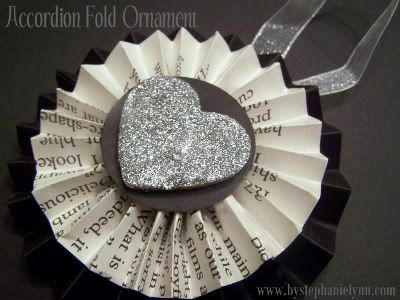 I’m so glad that there is a move for people to create their own non-cookie-cutter decorations 🙂 It is so refreshing (loveing those book page ones and the stamped tag). 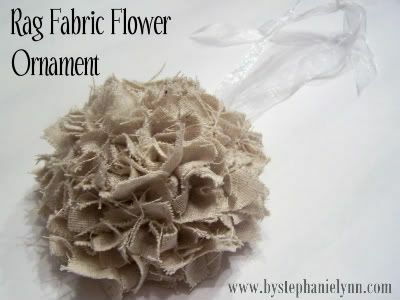 We started a tradition when our children were young and gave them a special ornament each year. They took those with them when they left home to put on their own trees. 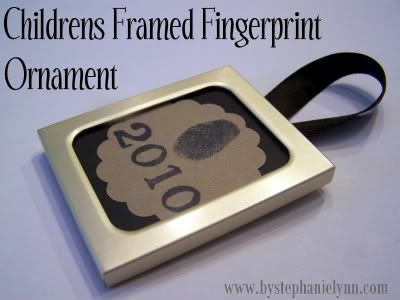 The picture framed finger print will be perfect for our first grandson on his first Christmas.